After two days of constant snow and nearly 2 feet of accumulation, we were getting cabin fever. The cure for cabin fever? Go exploring in a different neighborhood in search of food. In the West Village, just south of Chelsea, is a lovely little British shop called Myers of Keswick. We have wanted to go there for some time, and it seemed like the perfect day to do so. Plus, Brie has wanted to make Flapjacks for me (the British version, not the “pancakes” often referred to here in the U.S.) and we needed some Golden Syrup. M.o.K is a tiny shop, but their shelves are packed with canned goods, teas, sauces, and snacks to the ceiling. On the other side of the shop is a refrigerator case where they offer a wide variety of homemade meat pies and fresh sausage. I couldn’t resist. We purchased one Cornish Pasty and one Pork Pie in addition to Lyle’s Golden Syrup and a few snacks (bacon flavored crisps!). On the way back to the subway we decided to swing into the Chelsea Market to see if anything looked good for dinner. I made a beeline to The Lobster Place and tried to decide what to make that evening. 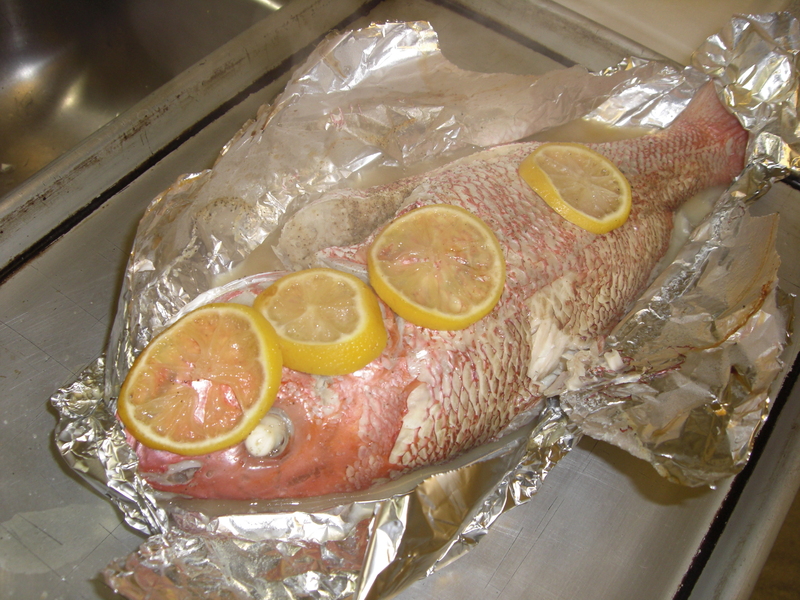 There are so many different types of fish and seafood available at this market that it can be overwhelming. 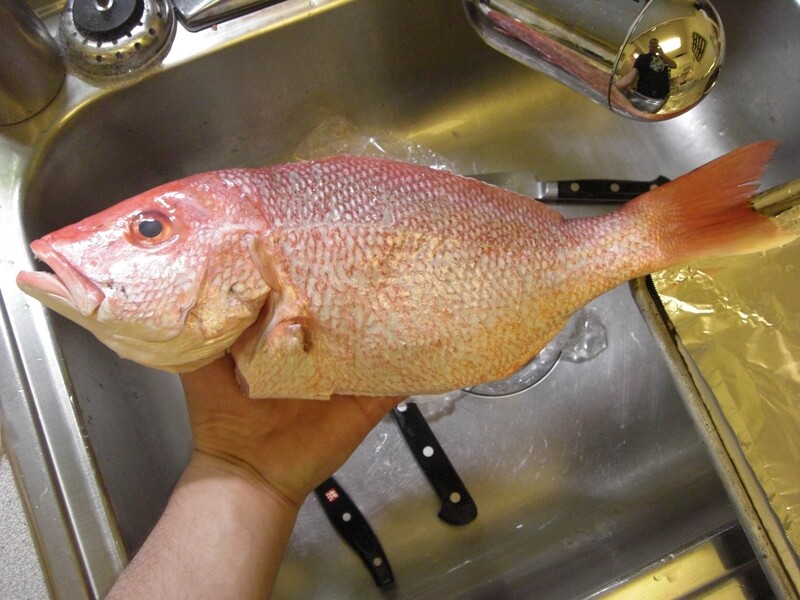 Luckily, a beautiful red snapper got my attention and I had the fish monger (I love saying that) remove the fins and gills. It weighed in just under 2.5 pounds and was incredibly fresh. I also grabbed a dozen cocktail shrimp and some fresh cocktail sauce for dipping. Once we got home I got to cooking, like a good husband. 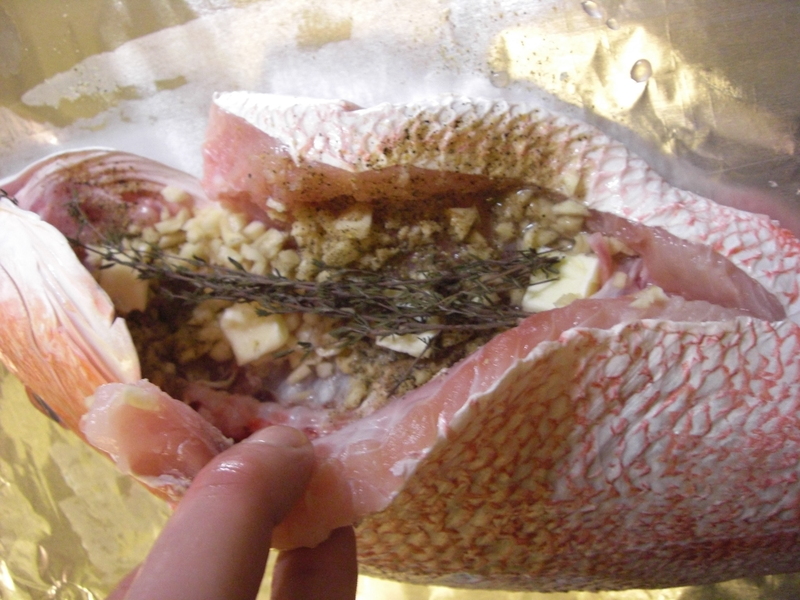 I wrapped the whole fish in foil and roasted it with garlic, thyme, lemon, and butter. With the snapper we had roasted carrots with an aged balsamic glaze, and pan-fried cauliflower with curry. And of course, don’t forget the wine! We enjoyed a bottle of Granger 2007 “Le Bouteau” Beaujolais Village (I know, red wine with fish, but this went really well with it!!). 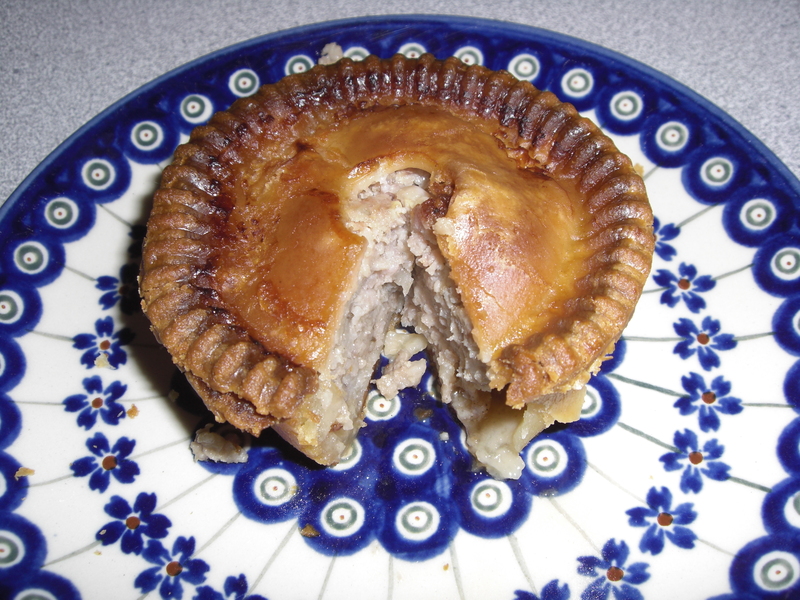 The next day (today) we had our Cornish Pasty and Pork Pie. 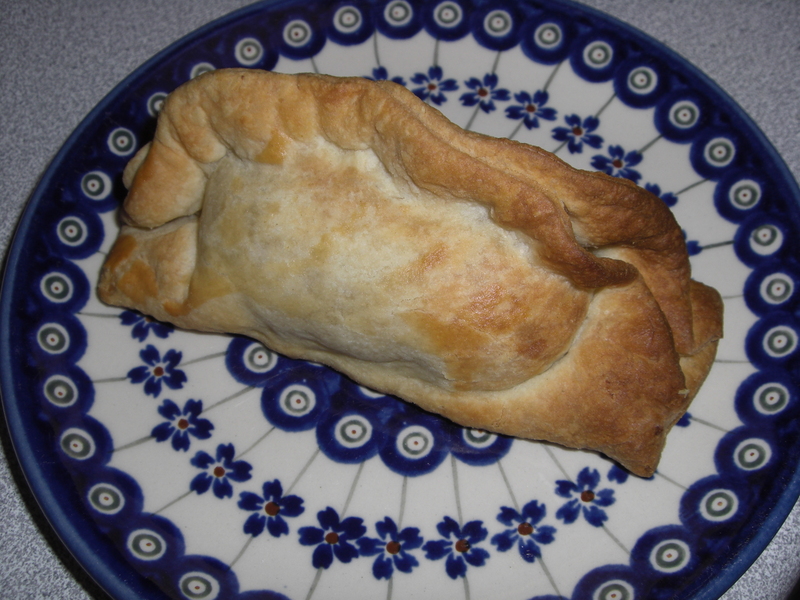 The Cornish Pasty was filled with ground beef, potatoes, peas, and onions. It was very similar to a hash or meatloaf, but wrapped in a delightfully flaky crust. The Pork Pie was filled with, as you might have guessed, pork. The crust was very buttery and made a perfect home for the meat. I can’t wait to go back and try their other pies! This entry was posted in Food, Vino and tagged English, fish, NYC, Pastry, red wine. Bookmark the permalink.